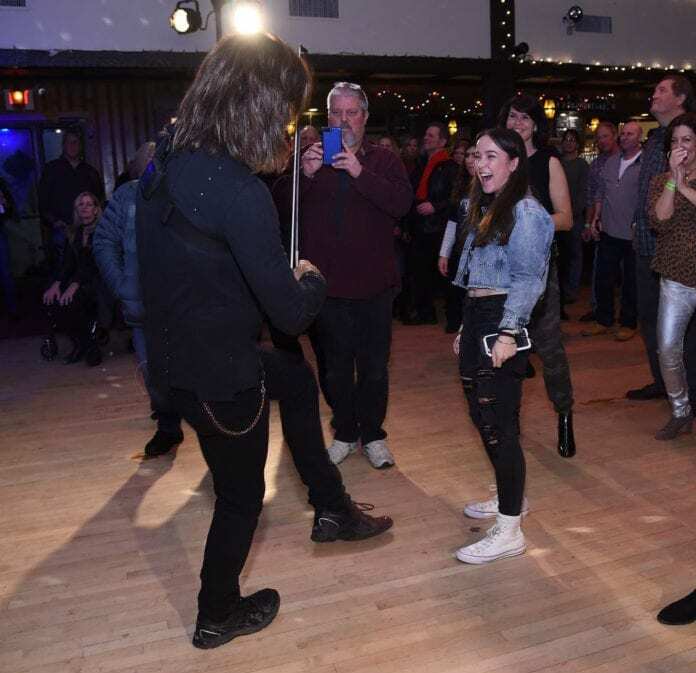 Mark Wood and Laura Kaye said it was only proper to host the fundraiser for their national music program in Port Washington where they call home. Together, the married couple of 25 years, founded the Mark Wood Music Foundation in 2010, a program that focuses on supporting young musicians and school music programs. Each year, with their team of artist mentors, Kaye and Wood travel to about 100 schools where they host music outreach programs and identify students to award scholarships to for the Mark Wood Rock Orchestra Camp in Olathe, Kans. Their fundraiser in January at the Polish Hall in Port Washington was their first in seven years. More than 350 people attended and $10,500 was raised that will be used to continue putting instruments in the hands of financially challenged young musicians and schools, subsidize funding for music programs in undeserved communities and providing scholarship opportunities. A Port Washington student, Melissa Bilge, was also chosen as the recipient of a full scholarship for the Kansas music camp after having attended the event. She came as a strong recommendation from Schreiber’s music teacher Anthony Pinelli, Kaye said. About 120 students attend The Mark Wood Rock Orchestra Camp each year. It is a week-long program for middle school and high school students who are at least at an intermediate skill level in the guitar, vocals, electric bass, acoustic or electric string instruments. Campers attend workshops and rehearse during the day and show off their skills at night at the Cafe Rock and Wreck. He said students who attend the camp keep coming back which is a large component of the program because they mentor the new kids and help out as counselors. Wood is an electric violinist who was raised in Port Washington and comes from a long line of artists that have been in the area since 1920. Wood and his three brothers comprised a string quartet that played at Schreiber High School, which is also where Wood built his first electric violin. 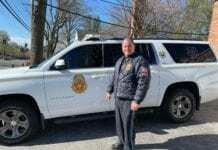 Wood’s first band he played with after attending Julliard was Port Washington’s Deep River Band who joined his current band on the bill at the foundation’s fundraiser at the Polish-American Hall. The event was supported by 60 local businesses as well as individuals who donated food and items for the silent auction and raffle. Kaye and Wood said they were overwhelmed by the level of engagement from their community for their event, from donations to people offering their services to volunteer. They said they were excited to announce that they will be holding another event next year where they hope to be able to offer two scholarships to Port Washington students for the Mark Wood Rock Orchestra Camp.